The new Premier League season has already kicked off and last weekend we saw the new Manchester United home-shirt in action for the first time. However much they might want to, a team can’t play a full season in the one kit and to get them ready for their challenges on the road this season, adidas unveil the new Manchester United away-shirt. Manchester United are a club with an immense history, both in terms of trophies and football kits. 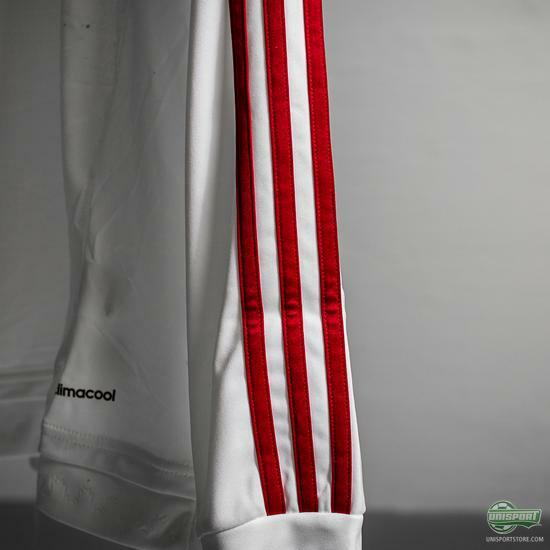 When adidas took over as their shirt sponsors they therefore had plenty to live up, which they on both the new home- and away-shirt have done admirably if you ask me. 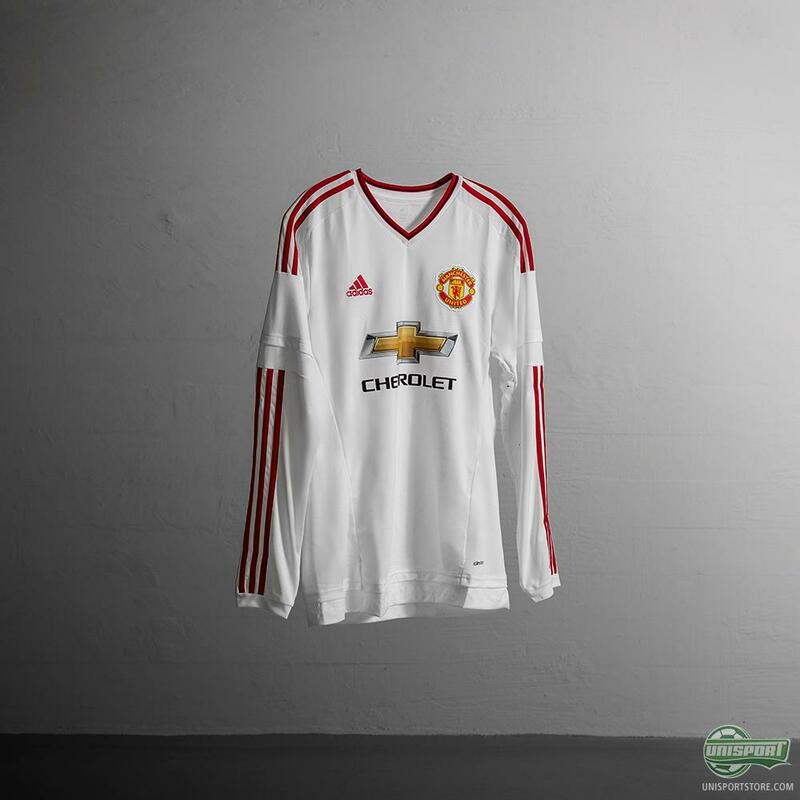 You can find the new Manchester United 2015/16 away-shirt in the shop right here. 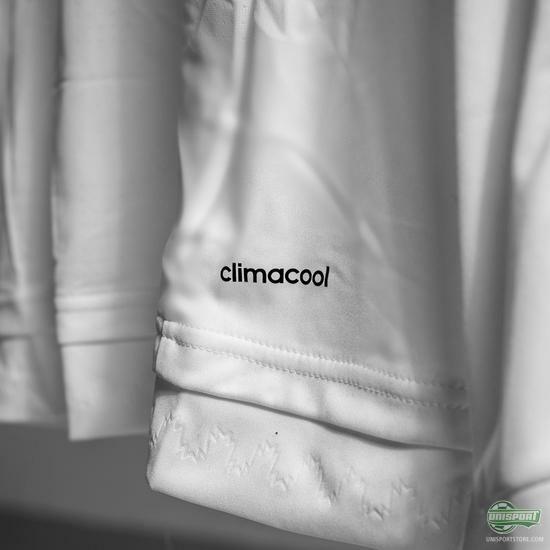 The new away-kit is made with tons of hidden features, which although they might not be visible on the tv screen, still give a unique feeling for supporters when they pull the famous shirt over their heads. The most noteworthy of these subtle bits of detailing is at the hem of the shirt, where a pattern has been added, which could also be found on the last adidas Manchester United shirt, which was worn during the legendary Ryan Giggs’ debut season. On top of the reference to classic Manchester United kits of yore, the rest of the shirt is also incredibly stylishly clean, with no crazy colours, or strange visual designs to distract you. I myself am in no way a Manchester United fan, but will say this is definitely the right way to go with their away-shirt design. 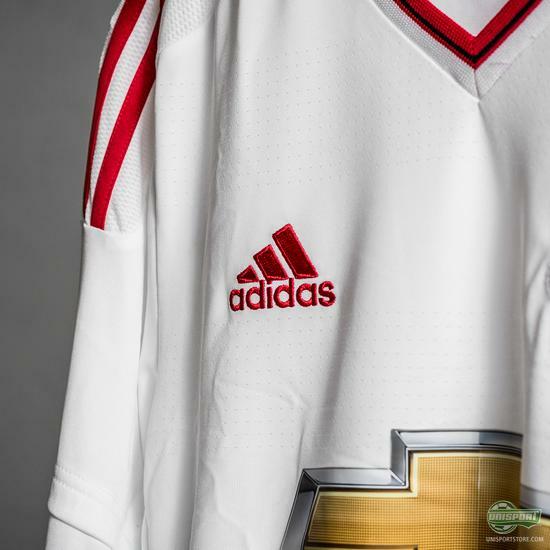 A design worthy of Manchester United’s high expectations for this season - find it right here. 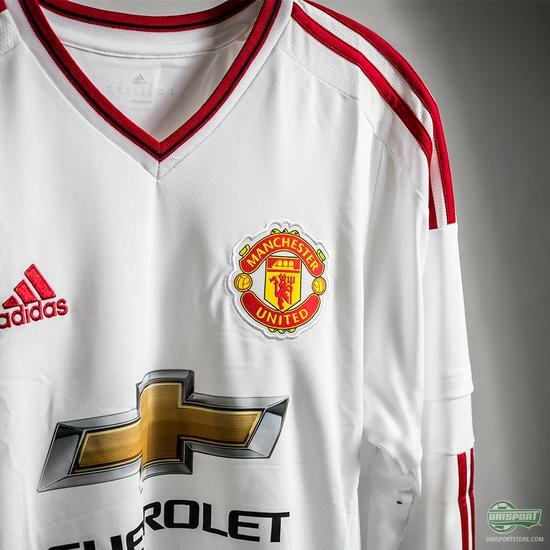 The Red Devils will already have cause for showing off their new shirt, when they play Aston Villa at Villa Park on Friday evening. 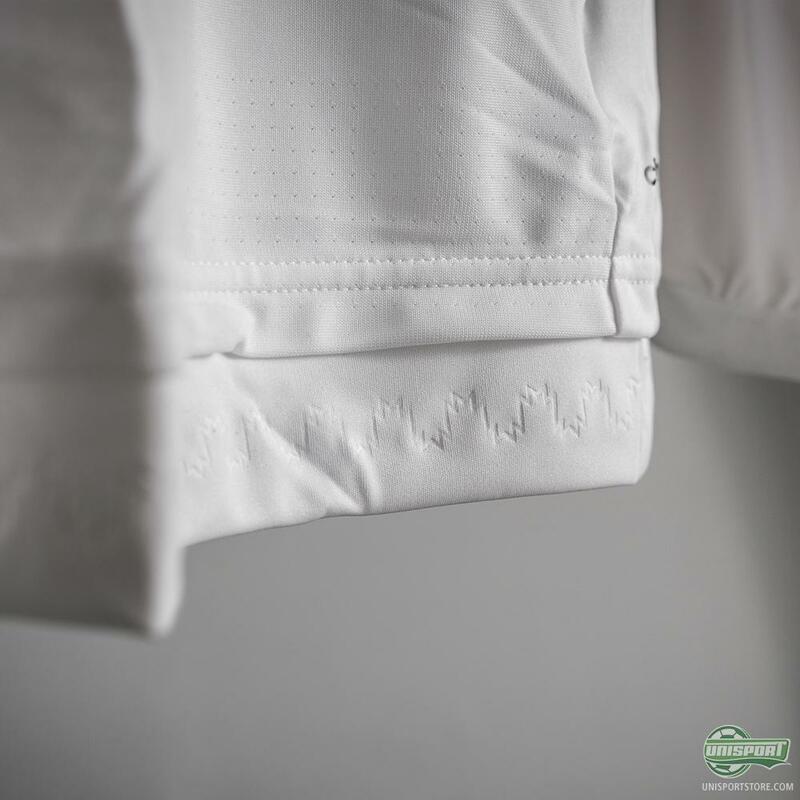 They got their home-shirt of to a winning start last weekend against Tottenham and you would think Van Gaal would expect the same next time out. 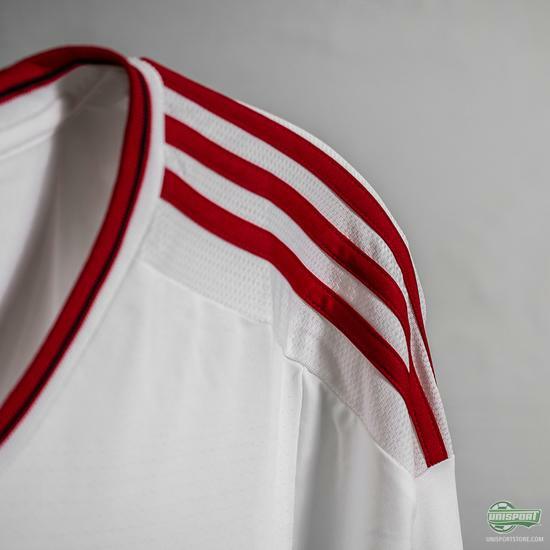 A V-neck collar, almost entirely white, (except for the classic adidas stripes running down the sleeves), I mean apart from that god-awful sponsor logo in the middle of the shirt, things almost couldn’t get better for United fans. 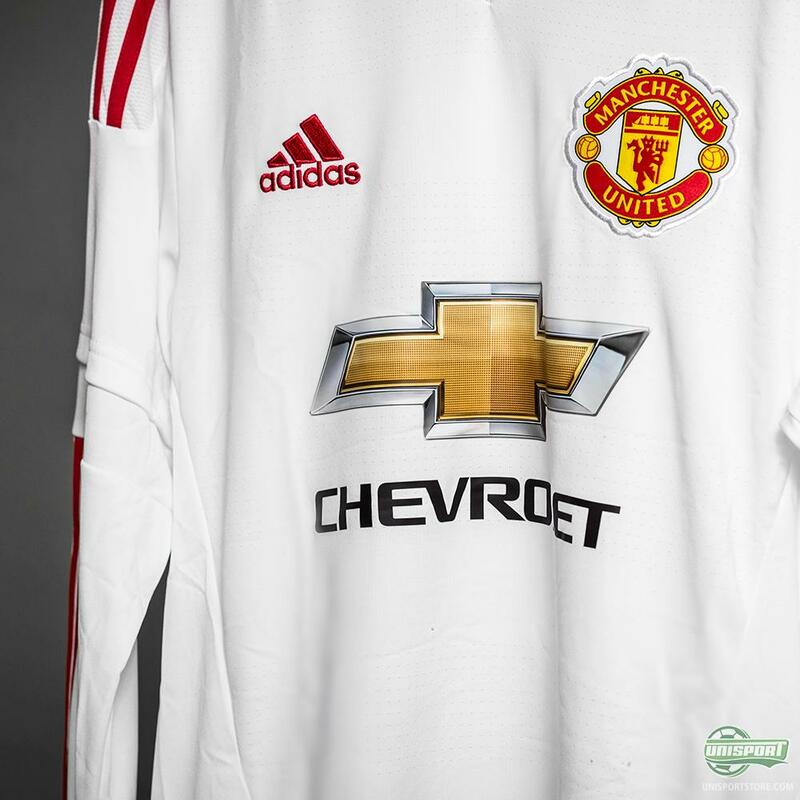 What do you think about the new Manchester United 2015/16 away-shirt?